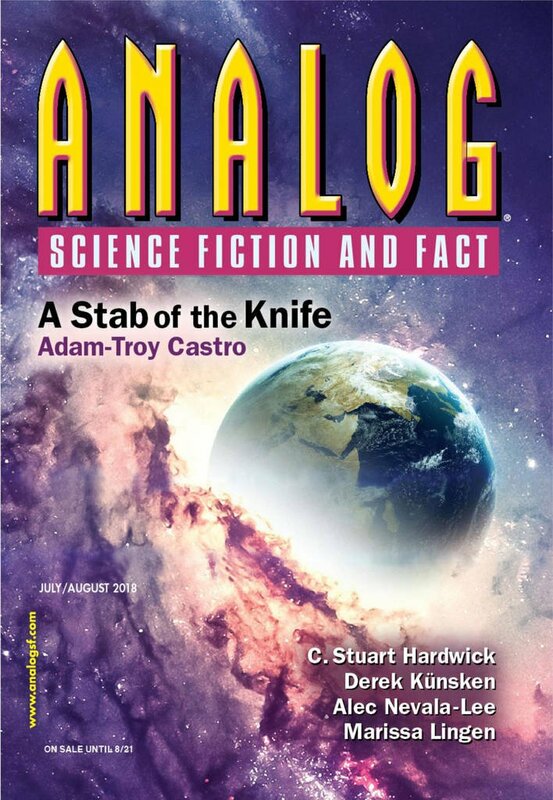 "New Frontiers of the Mind," by Andy Duncan [bio] (edited by Trevor Quachri), appeared in Analog Science Fiction and Fact issue 07-08|18, published on June 15, 2018 by Penny Publications. It’s not clear what the point of this story is, but other than having Campbell work with Rhine (and get a run of impossibly good scores) when they were both at Duke, there’s no speculative element here. The whole story seems to be a setup for Alec Nevala-Lee's fact article about John W Campbell and his belief in ESP. That makes more sense. I usually don't have the time to read the non-fiction articles. Thanks!